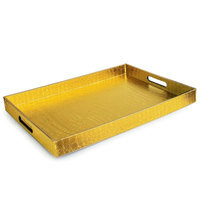 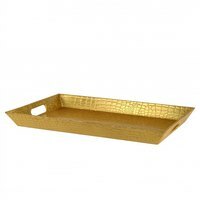 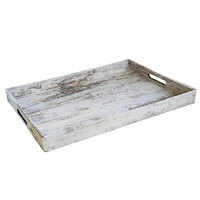 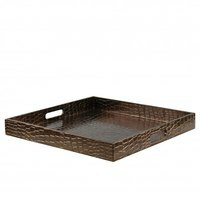 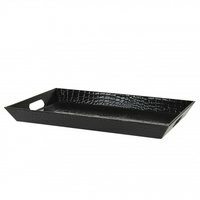 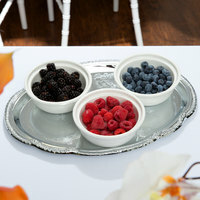 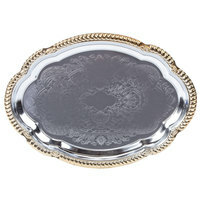 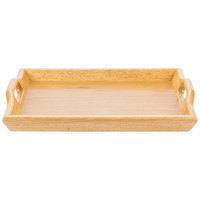 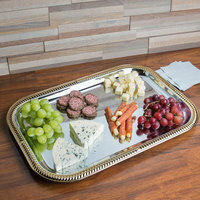 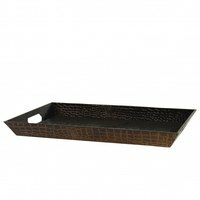 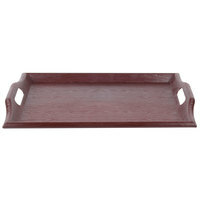 From sleek silver and gold platters to rustic wooden options, we have trays in several colors and materials to match any establishment’s decor. 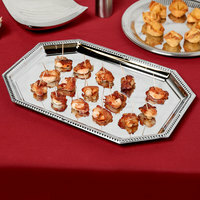 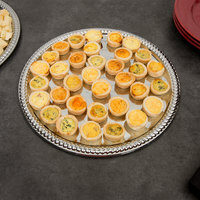 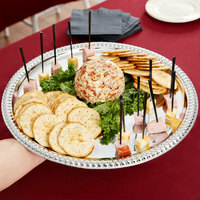 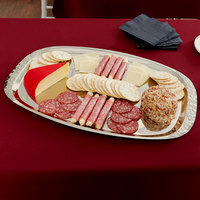 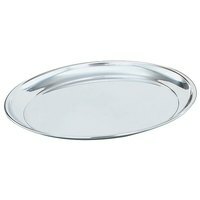 Our platters are great for serving appetizers and drinks, and our trays can hold packaged snacks for your continental breakfast. 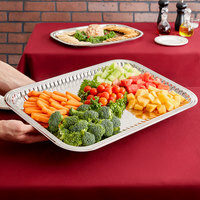 We also offer several different diameters and sizes so you can choose the hotel room service tray that will fit everything you need. 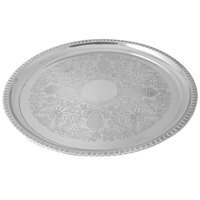 Also make sure to check out other great items from 10 Strawberry Street, American Metalcraft, Cal-Mil, Cambro, Carlisle, Elite Global Solutions and GET Enterprises. 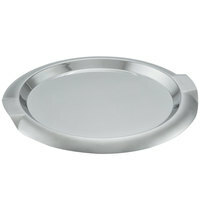 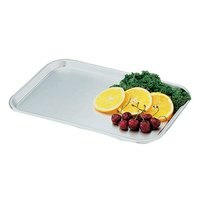 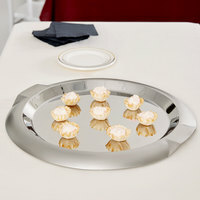 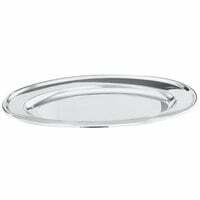 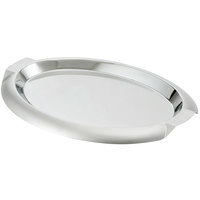 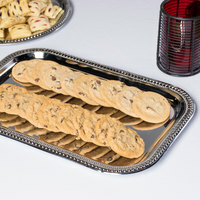 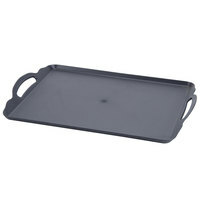 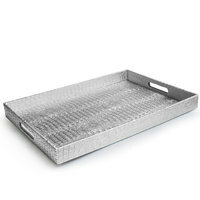 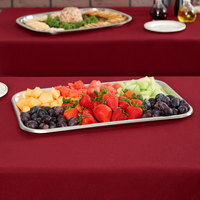 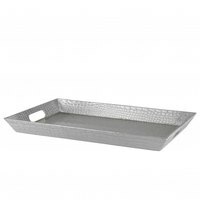 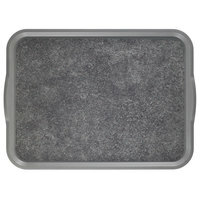 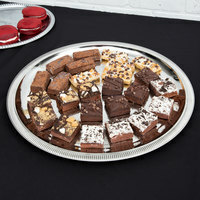 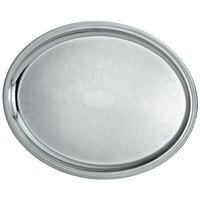 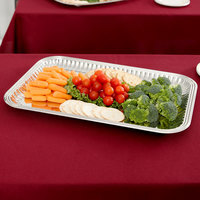 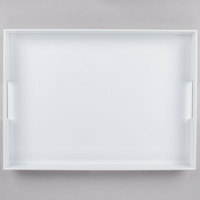 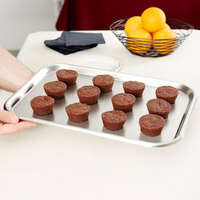 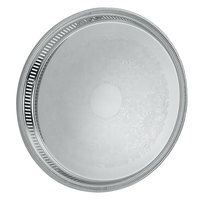 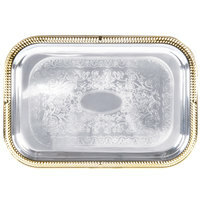 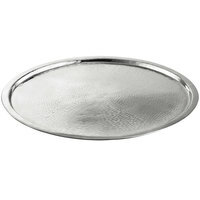 plusVollrath 82062 Oval Stainless Steel Serving Tray with Handles - 21 1/8" x 15 1/2"
plusVollrath 82061 Oval Stainless Steel Serving Tray with Handles - 17 5/8" x 13"
plusVollrath 82097 Round Stainless Steel Serving Tray with Handles - 14"
plusVollrath 82091 Square Stainless Steel Serving Tray with Handles - 15 3/4" x 15 3/4"
plusVollrath 80150 Oblong Stainless Steel Serving / Display Tray - 15 1/8" x 10 1/2"
Vollrath 82121 Elegant Reflections Stainless Steel Oblong Serving Tray - 24" x 19"
Carlisle 608918 Celebration Embossed Rectangular Tray with Ornate Border - 21" x 15"
plusVollrath 82090 Square Stainless Steel Serving Tray with Handles - 11 3/4" x 11 3/4"
plusVollrath 82098 Round Stainless Steel Serving Tray with Handles - 16"
plusVollrath 80170 Oblong Stainless Steel Serving / Display Tray - 17 1/8" x 11 5/8"
plusVollrath 82095 Rectangular Stainless Steel Serving Tray with Handles - 21" x 12"
plusVollrath 47242 Mirror-Finished Stainless Steel Oval Platter - 21 1/2" x 13 1/2"
plusVollrath 82060 Oval Stainless Steel Serving Tray with Handles - 14 3/4" x 10 7/8"
plusVollrath 82094 Rectangular Stainless Steel Serving Tray with Handles - 18" x 10"
plusVollrath 82096 Round Stainless Steel Serving Tray with Handles - 12"
Vollrath 82120 Elegant Reflections Stainless Steel Oblong Serving Tray - 18" x 14"
plusVollrath 82122 Elegant Reflections Stainless Steel Oblong Serving Tray with Handles - 18" x 14"
plusTablecraft RPD2415 Remington Rectangular Stainless Steel Tray - 23 1/4" x 15" x 1"
plusVollrath 80190 Oblong Stainless Steel Serving / Display Tray - 19" x 12 1/2"
plusVollrath 47234 Mirror-Finished Stainless Steel Oval Platter - 13 3/4" x 9"
Cal-Mil 1290TRAY Bamboo Tray - 18" x 12" x 3"
Room service trays are great for adding a unique look to banquets, catered events, and hotel services. 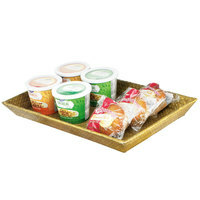 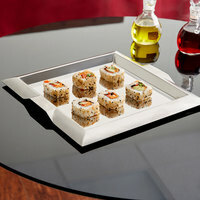 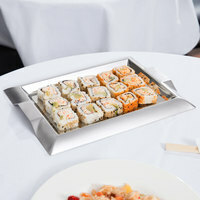 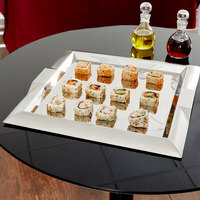 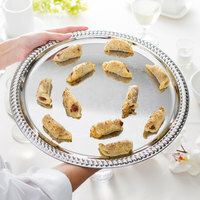 Their elegant designs work well for plating sushi, appetizers, and fruits and vegetables. 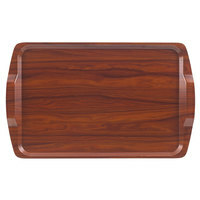 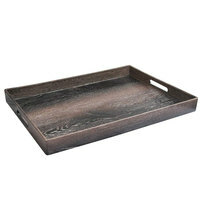 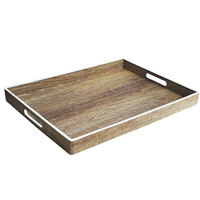 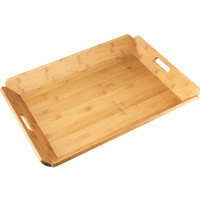 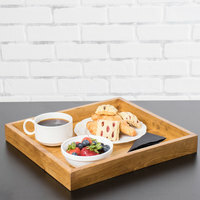 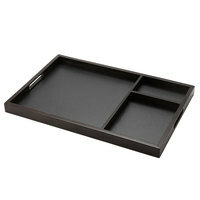 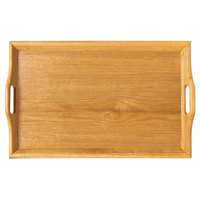 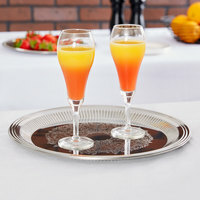 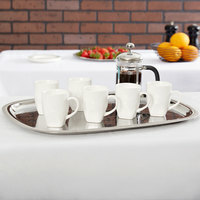 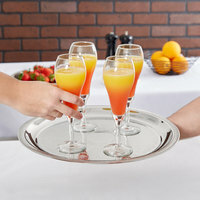 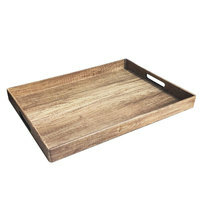 They come in a variety of materials, including durable melamine and eco-friendly bamboo, so you can choose a hotel room service tray that suits your establishment’s needs and decor. 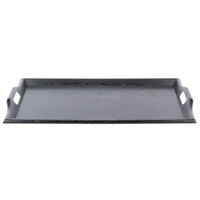 For other hotel room supplies, check out our hotel room luggage racks, room service tables, and luggage carts. 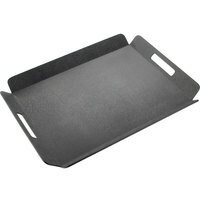 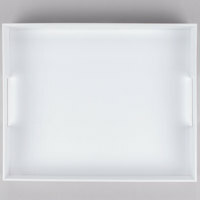 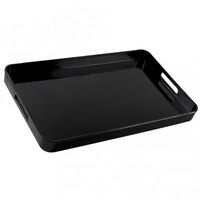 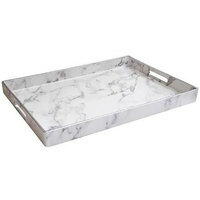 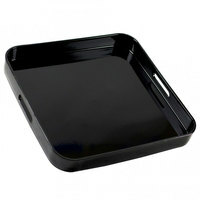 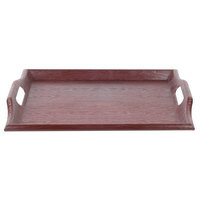 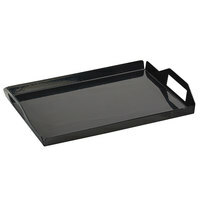 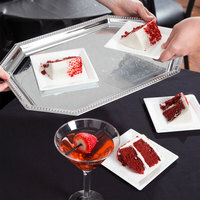 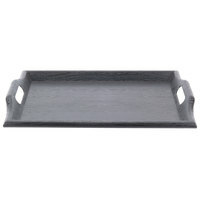 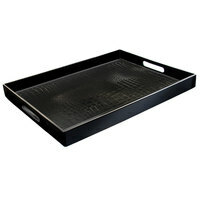 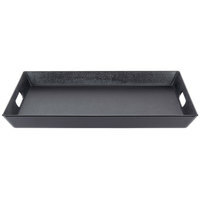 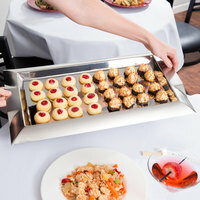 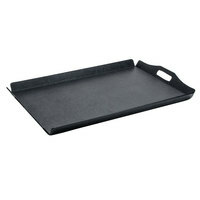 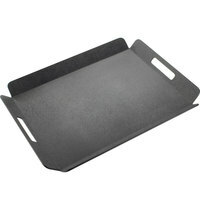 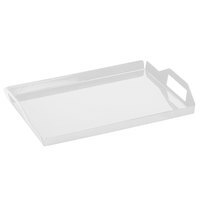 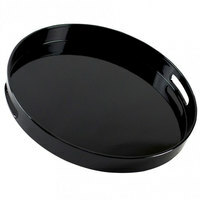 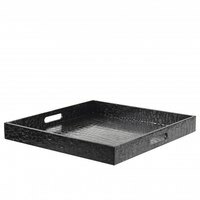 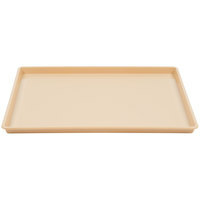 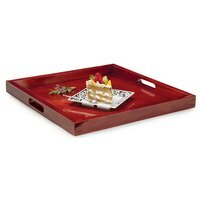 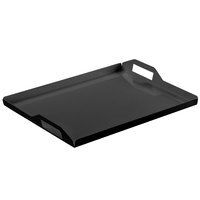 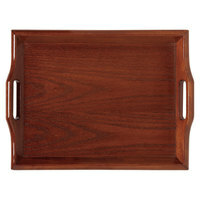 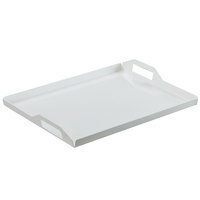 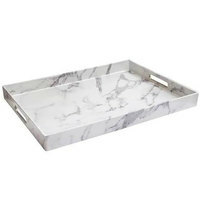 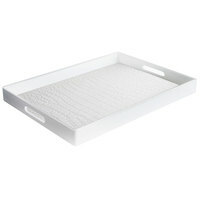 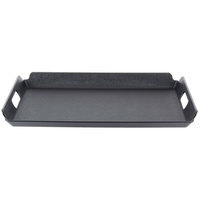 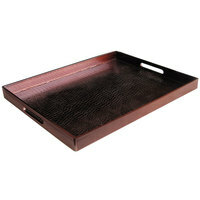 If you're wondering where to buy room service trays, we have a large selection of room service trays for sale at the lowest prices.